Our Services - playground maintenance, repair, design and installation. From concept through installation and ongoing playground maintenance, Playscape playgrounds offers a wide range of playground equipment and playground surfacing to suit all budgets and requirements. 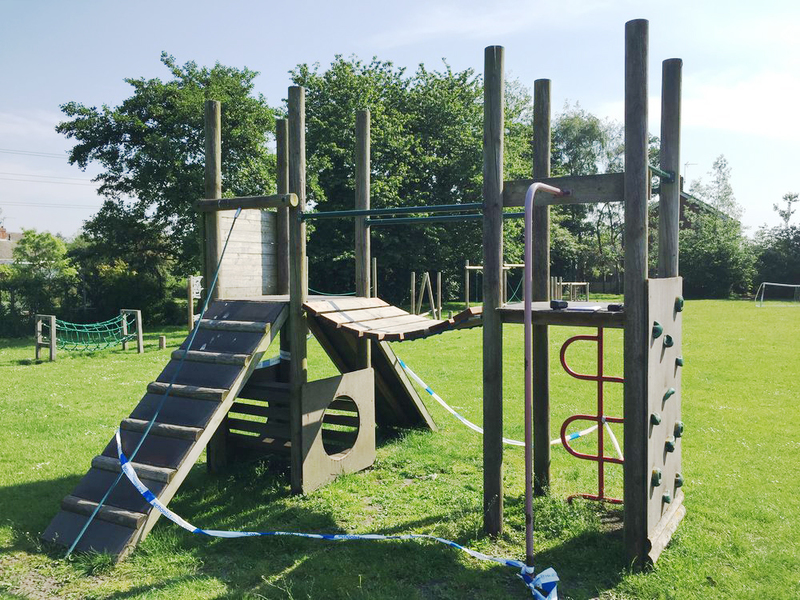 From a total playground remodel, the addition of a Trim Trail to the repair of your existing play equipment or supply of play surfacing and playground markings call our friendly, family run team today for an informal chat. Playscape Playgrounds can design and layout your playground and provide drawings for your approval before any ground needs get disturbed. 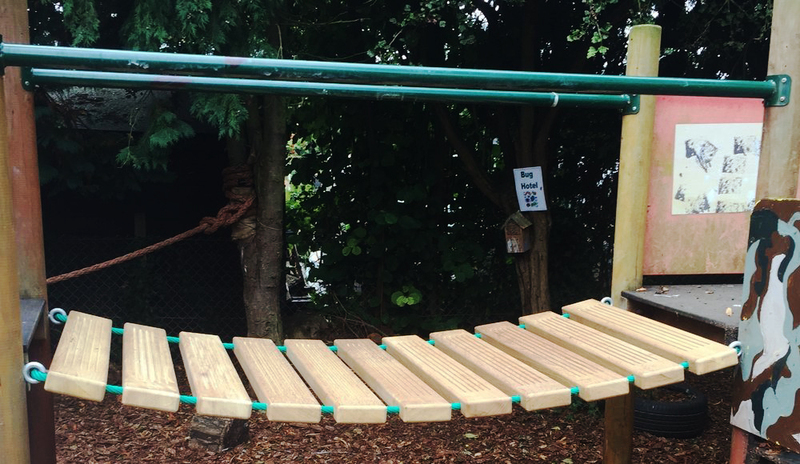 We take into account various factors when liaising with you to design the playground and exercise patience in order that we achieve above and beyond your expectations both with the choice of equipment and the return on your investment in the outside space. All equipment supplied is certified and installed to British Standard EN1176 and safety surfacing to British Standard EN1177. Completed installations are followed up with an independent RPII certified inspectors report, for your complete peace of mind and ongoing maintenance and record keeping procedures. If you have any doubt or require any further information, please do not hesitate to get in touch with our team. Playscape Playgrounds are certified Level 2 Operational Inspectors by the RPII (Register of Play Inspectors International). 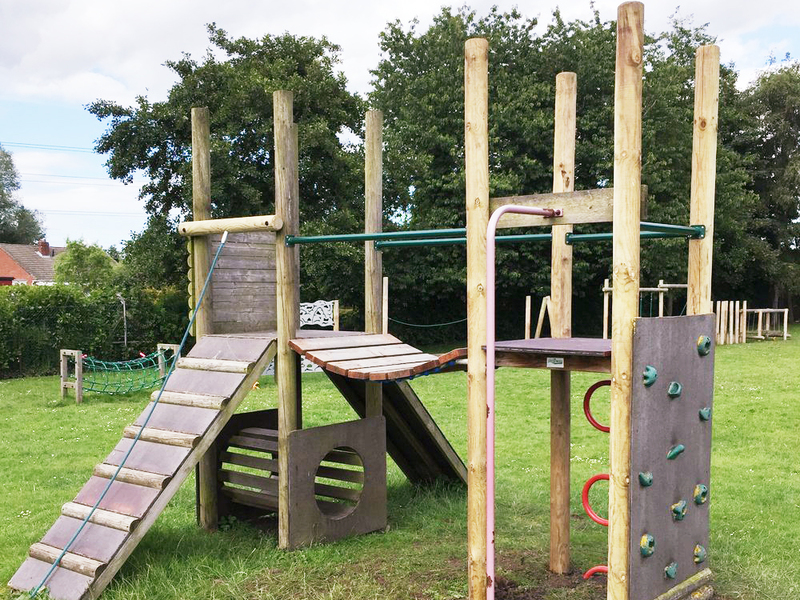 We can organise annual inspections of your play equipment for you, as well as quarterly or monthly inspections. Every inspection is followed up with a report of your equipment and surfacing for you to keep and file on record as part of your maintenance procedures. Just get in touch today for a friendly chat about your requirements. 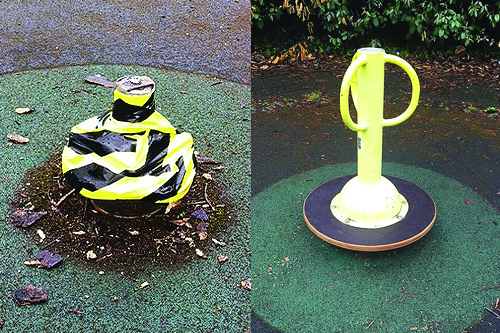 Playscape Playgrounds can repair or replace your broken play equipment. There may not be a need for a whole new piece of equipment if we can repair it for ongoing use. We also repair safety surfacing - just get in touch today for an informal chat about your requirements and see what we can do. Playscape Playgrounds can clean your play equipment and safety surfacing to remove moss, algae and bird droppings. So that the Children could continue enjoying it for some time yet to come. 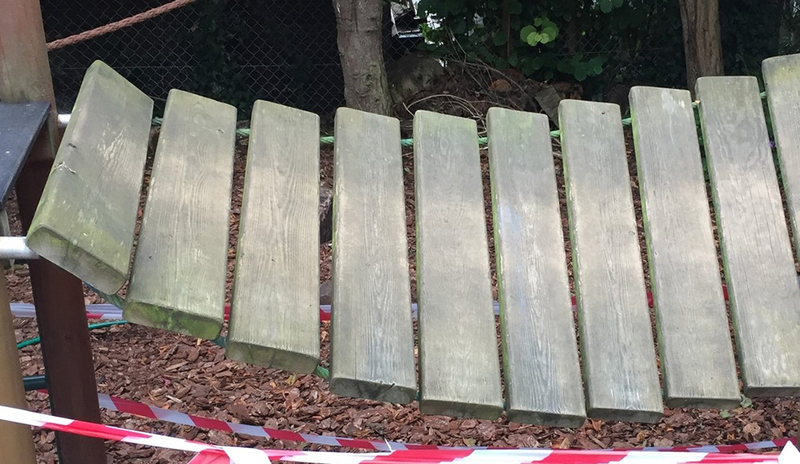 This broken wobbly bridge meant that the whole play tower was out of action. Playscape Playgrounds repaired the bridge and the Children were able to play again!